Strip cooked meat from the peking duck and dice the meat in large pieces. In a bowl, combine the meat with the hoisin sauce and chopped coriander. 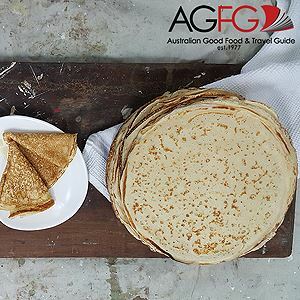 Lay pancake wrappers out on a bench and pipe a thin strip of the extra hoisin sauce across the wrapper. 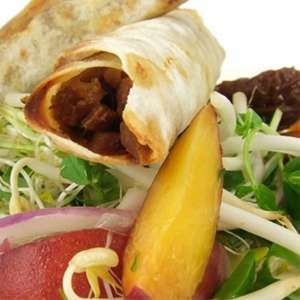 Place preferred amount of duck meat along the strip of sauce and roll the pancake into a cylinder shape. 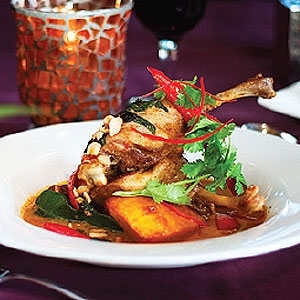 Place duck pancakes into a moderate oven (1800C) for 10 minutes or until slightly brown. Place mixed salad items onto a plate and stack 2-3 pancakes on top. Drizzle with Nam-Jim dressing and serve. Place all ingredients into a bowl and whisk thoroughly. Highlighted with the smooth flavour of caramelised pumpkin. 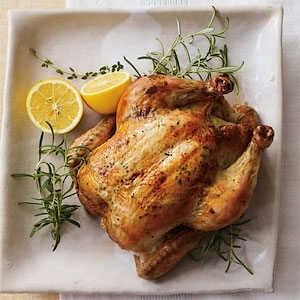 Add some zing to your usual roast chicken - it's sure to become a family favourite.